Liliane Sprenger-Charolles is a linguist and a psycholinguist. She obtained her PhD in 1988 (Paris5 [ParisDescartes]) and her “Habilitation” in 1996 (Paris7 [Denis Diderot Univ]). She has been working for the CNRS (The French National Scientific Research Center) as a Senior Research Scientist since 1990. Until the end of 2005, she was heading the Literacy team of the “LEAPLE” (CNRS-ParisDescartes). In 2006, she has joined the “LPP” (CNRS-ParisDescartes) and, in 2012, the “LPC” (CNRS-AMU [Aix-Marseille-Univ]). Her first studies have highlighted that deficits in reading comprehension are a mere consequence of deficits at the level of written-word identification, at least for dyslexic children. Her subsequent studies have been focused on the establishment of written-word identification mechanisms in typical development, their dysfunctions in developmental dyslexia and the origin of these dysfunctions. The main assumptions of these studies were that success and failure in learning to read in alphabetic writing systems depend on the consistency of grapheme-phoneme correspondences (GPC) in the language in which the child is learning to read and on the quality of his/her phonemic representation. In the state of the art, this explanation is the only one that allows integrating most of the results obtained so far in a coherent framework (for reviews in English: Sprenger-Charolles, 2003; Sprenger-Charolles, Colé, & Serniclaes, 2006; Ziegler & Goswami, 2005; for a recent review in French: Sprenger-Charolles & Colé, 2013). Liliane Sprenger-Charolles is also involved in the development of tools for research and teaching. b. Statistics on the frequency of lexical (words and morphemes) and sublexical (especially GPC) units, and on the consistency of GPC, these statistics being based on a corpus of words (around 2,000,000) from a fifty textbooks used in primary schools: MANULEX (Lété, Sprenger-Charolles, & Colé, 2004; Peereman, Lété, & Sprenger-Charolles, 2007; Peereman, Sprenger-Charolles, & Messaoud-Galusi, 2013). Liliane Sprenger-Charolles has authored about 40 scientific articles, 30 chapters, 8 books, and many papers on research development for people working in the field of education or health. She has participated as invited speaker in several international conferences and workshops. In addition, she has given many lectures, mainly for continuing vocational training for Psychologists, Speech therapists, Physicians and Teachers (in France and French territories, and in foreigns countries: Switzerland, Belgium, the Netherlands, Italy, Spain, Morocco, Tunisia, the USA, Canada, Argentina…). She has also been hired as a consultant by the French Ministry of Education, the French Ministry of Health, the French National Institute of Health (INSERM), the World Bank, UNESCO, IIEP-UNESCO, Research Triangle Institute (RTI, USA), and Leapfrog (a leading designer, developer and marketer of innovative, technology-based educational products). Gentaz, E., Sprenger-Charolles, L. Theurel, A., & Colé, P. (2013). Reading comprehension in a large cohort of French first graders from low socio-economic status families: a 7-month longitudinal study. PlosOne 8(11): e78608. Peereman, R., Sprenger-Charolles, L. & Messaoud-Galusi, S. (2013). The contribution of morphology to the consistency of spelling-to-sound relations: A quantitative analysis based on French elementary school readers. Topics in Cognitive Psychology – L’Année Psychologique, 213, 113-133. Piquard-Kipffer, A., & Sprenger-Charolles, L. (2013). Early predictors of future reading skills: A follow-up of French-speaking children from the beginning of kindergarten to the end of the second grade (Age 5 to 8). Topics in Cognitive Psychology – L’Année Psychologique. Colé, P., Bouton, S., Leuwers, C., Casalis, S., & Sprenger-Charolles, L. (2011). Stem and derivational-suffix processing during reading by French second and third graders. Applied Psycholinguistics, 33(1), 97-120. Sprenger-Charolles, L., Siegel, L.S., Jimenez, J., & Ziegler, J. (2011). Prevalence and reliability of phonological, surface, and mixed profiles in dyslexia: A Review of studies conducted in languages varying in orthographic depth. Scientific Study of Reading, 15(6), 98-521. Martin, J., Colé, P., Leuwers, C., Casalis, S., Zorman, M., & Sprenger-Charolles, L. (2010). Reading in French-speaking adults with dyslexia. Annals of Dyslexia, 60(2), 238-264. Serniclaes, W., & Sprenger-Charolles, L. (2010). Mind, brain and education in reading disorders (book review). American Journal of Psychology, 123, 112-118. Dufor, O., Serniclaes, W., Sprenger-Charolles, L., & Démonet, J.F. (2009). Left premotor cortex and allophonic speech perception in dyslexia: A PET study. NeuroImage, 46(1), 241-248. Sprenger-Charolles, L., Colé, P., Kipffer-Piquard, A., Pinton, F., & Billard, C. (2009). Reliability and prevalence of an atypical development of phonological skills in French-speaking dyslexics. Reading and Writing: An Interdisciplinary Jounal, 22(7), 811-842. Bogliotti, C., Serniclaes, W., Messaoud-Galusi, S., & Sprenger-Charolles, L. (2008). Discrimination of speech sounds by dyslexic children: Comparisons with chronological age and reading level controls. Journal of Experimental Child Psychology, 101, 137-155. Delahaie, M., Sprenger-Charolles, L., & Serniclaes, W. (2007). Une double évaluation des effets de lexicalité chez des faibles lecteurs et des très faibles lecteurs comparativement à des normolecteurs de même age et de même niveau de lecture (données longitudinales du CP au CE1). L'Année Psychologique, 107, 361-396. Dufor, O., Serniclaes, W., Sprenger-Charolles, L., & Démonet, J.F. (2007). Top-down processes during auditory phoneme categorization in dyslexia: A PET study. NeuroImage, 34(4), 1692-1707. Peereman, R., Lété, B., & Sprenger-Charolles, L. (2007). Manulex-infra: Distributional characteristics of grapheme-phoneme mappings, and infralexical and lexical units in child-directed written material. Behavior Research Methods, 39(3), 593-603. Dehaene-Lambertz, G., Pallier, C., Serniclaes, W., Sprenger-Charolles, L., Jobert, A., & Dehaene, S. (2005). Neural correlates of switching from auditory to speech perception. Neuroimage, 24(1), 21-33. Sprenger-Charolles, L., Colé, P., Béchennec, D., & Kipffer-Piquard, A. (2005). French normative data on reading and related skills from EVALEC, a new computerized battery of tests (end Grade 1, Grade 2, Grade 3, and Grade 4). European Review of Applied Psychology/Revue Europeenne de Psychologie Appliquee, 55(3), 157-186. Bara, F., Gentaz, E., Colé, P., & Sprenger-Charolles, L. (2004). The visuo-haptic and haptic exploration of letters increases the kindergarten-children's understanding of the alphabetic principle. Cognitive Development, 19(3), 433-449. Lété, B., Sprenger-Charolles, L., & Colé, P. (2004). 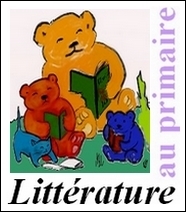 MANULEX: A grade-level lexical database from French elementary school readers. Behavior Research Methods, 36(1), 156-166. Serniclaes, W., Van Heghe, S., Mousty, P., Carré, R., & Sprenger-Charolles, L. (2004). Allophonic mode of speech perception in dyslexia. Journal of Experimental Child Psychology, 87(4), 336-361. Sprenger-Charolles, L., & Béchennec, D. (2004). Variability and invariance in learning alphabetic orthographies: From linguistic description to psycholinguistic processing. Written Language and Literacy, 7(1), 9-33. Ducrot, S., Lété, B., Sprenger-Charolles, L., Pynte, J., & Billard, C. (2003). The Optimal Viewing Position Effect in Beginning and Dyslexic Readers. Current Psychology Letters: Behaviour, Brain and Cognition, No 10(1), No Pagination Specified. Serniclaes, W., & Sprenger-Charolles, L. (2003). Categorical perception of speech sounds and dyslexia. Current Psychology Letters: Behaviour, Brain and Cognition, No 10(1), No Pagination Specified. Sprenger-Charolles, L., Siegel, L.S., Béchennec, D., & Serniclaes, W. (2003). Development of phonological and orthographic processing in reading aloud, in silent reading, and in spelling: A four-year longitudinal study. Journal of Experimental Child Psychology, 84(3), 194-217. Lacert, P., & Sprenger-Charolles, L. (2001). Specific phonological and metaphonological deficit in developmental dyslexia / Spécificité des troubles phonologiques et metaphonologiques dans la dyslexie du développement. A.N.A.E. Approche Neuropsychologique des Apprentissages chez l'Enfant, 62-63, 104-114. Serniclaes, W., Sprenger-Charolles, L., Carré, R., & Démonet, J.F. (2001). Perceptual discrimination of speech sounds in developmental dyslexia. Journal of Speech, Language and Hearing Research, 44(2), 384-399. Sprenger-Charolles, L., Lacert, P., Béchennec, D., Colé, P., & Serniclaes, W. (2001). Stabilité dans le temps et inter-langues des sous-types de dyslexie développementale. A.N.A.E. Approche Neuropsychologique des Apprentissages chez l'Enfant, 62-63, 115-128. Sprenger-Charolles, L., Colé, P., Lacert, P., & Serniclaes, W. (2000). On subtypes of developmental dyslexia: Evidence from processing time and accuracy scores. Canadian Journal of Experimental Psychology, 54(2), 87-104. Colé, P., & Sprenger-Charolles, L. (1999). Syllabic processing and visual word recognition in eleven year-old French dyslexics, below average readers and normal readers / Traitement syllabique au cours de la reconnaissance de mots ecrits chez des enfants dyslexiques, lecteurs en retard et normo-lecteurs de 11 ans. Revue de Neuropsychologie, 9(4), 323-360. Sprenger-Charolles, L., Siegel, L.S., & Béchennec, D. (1998). Phonological mediation and semantic and orthographic factors in silent reading in French. Scientific Studies of Reading, 2(1), 3-29. Sprenger-Charolles, L., Siegel, L.S., & Bonnet, P. (1998). Reading and spelling acquisition in French: The role of phonological mediation and orthographic factors. Journal of Experimental Child Psychology, 68(2), 134-165. Sprenger-Charolles, L., & Siegel, L.S. (1997). A longitudinal study of the effects of syllabic structure on the development of reading and spelling skills in French. Applied Psycholinguistics, 18(4), 485-505. Sprenger-Charolles, L., & Bonnet, P. (1996). New doubts on the importance of the logographic stage. Current Psychology of Cognition, 15, 173-208. Sprenger-Charolles, L., & Casalis, S. (1995). 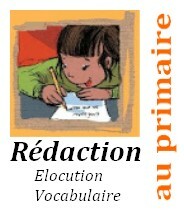 Reading and spelling acquisition in French first graders: Longitudinal evidence. Reading and Writing: An Interdisciplinary Jounal, 7(1), 39-63. Sprenger-Charolles, L. (1994). 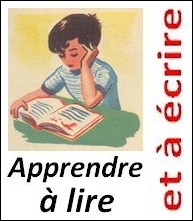 Reading acquisition in French first and second graders: Longitudinal evidence / L'acquisition de la lecture en français: Etude longitudinale de la premiere a la seconde annee du primaire. L'Année Psychologique, 94(4), 553-574. Sprenger-Charolles, L. (1993). Procédures de traitement de l'information écrite utilisées par des lecteurs/scripteurs francophones en début d'apprentissage: Examen a partir de l'analyse d'un corpus d'erreurs. Etudes de Linguistique Appliquée, 91, 70-83. Sprenger-Charolles, L. (1992). Les premiers apprentissages de la lecture et de l'écriture. Langue Française, 80, 63-80. Sprenger-Charolles, L. (1991). Premiers apprentissages de la lecture: 20 ans de recherches francophones. Etudes de Linguistique Appliquée, 84, 65-84. Sprenger-Charolles, L. (1990). Difficulties in learning to read: Several hypotheses / Les difficultes d'apprentissage de la lecture: quelques hypotheses. Perspectives Psychiatriques, 24(4), 232-235. Sprenger-Charolles, L. & Colé, P. (2013). Lecture et Dyslexie: Approche cognitive. Paris: Dunod (Seconde édition entièrement revue et actualisée, première édition 2003). Dehaene, S. (Dir. ), Dehaene-Lambertz, G., Gentaz, E., Huron, C., & Sprenger-Charolles, L. (2011). Apprendre à lire - Des sciences cognitives à la salle de classe Paris: Odile Jacob. Expertise Collective INSERM (2007). Dyslexie, dysorthographie, dyscalculie: Bilan des données scientifiques. Paris: INSERM. (Membres de l'expertise collective: P. Barrouillet, C. Billard, M. de Agostini, J.F. Démonet, M. Fayol, J.E. Gombert, M. Habib, M.T. Le Normand, F. Ramus, L. Sprenger-Charolles, S. Valdois). Sprenger-Charolles, L., & Colé, P. (2006). Lecture et dyslexie: Approches cognitives. Dunod (Réédition, première édition, 2003) Paris: Dunod. Sprenger-Charolles, L., Colé, P., & Serniclaes, W. (2006). Reading acquisition and developmental dyslexia (Essays in developmental psychology). Psychology Press Hove, UK, & New-York, USA: Psychology Press (Taylor & Francis). Sprenger-Charolles, L., & Casalis, S. (1996). Lire. Lecture/écriture: Acquisition et troubles du développement Paris: PUF. Jaffré, J.P., Sprenger-Charolles, L., & Fayol, M. (1994). Lecture/écriture: Acquisition (Les Actes de la Villette) Paris, France: Nathan. Fayol, M., Gombert, J.E., Lecocq, P., Sprenger-Charolles, L., & Zagar, D. (1992). Psychologie cognitive de la lecture Paris, France: PUF. Gagné, G., Sprenger-Charolles, L., Lazure, R., & Ropé, F. (1989). 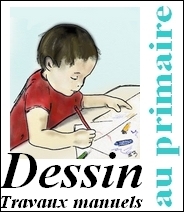 Recherches en didactique et acquisition du français langue maternelle (1970-1984: Cadre conceptuel, vol., 200p. ; Répertoire bibliographique, vol.2, 497p.). Bruxelles: De Boeck. Talli, I., Stavrakaki, S., & Sprenger-Charolles, L. (2013). Phonological and morpho-syntactic abilities in children with developmental dyslexia and specific language impairment: Evidence from Greek. In Proceedings of the GALA conference 2010: Advances in Language Acquisition (pp.444-453). Cambridge Scholars Publishing. Sprenger-Charolles, L. (2012). Lecture et habiletés liées à la lecture chez l'enfant dyslexique. In P. Colé (Dir), S. Casalis, A. Dominguez, J. Leybaert, M.A. Schelstraete & L. Sprenger-Charolles. Lecture et pathologies du langage oral. (pp. 17-46). Presses Universitaires de Grenoble, Collection Psycho-Plus. Colé, P., & Sprenger-Charolles, L. (2011). Comment savoir si je suis dyslexique? In Alario, F.X. (Eds) Toutes les questions que vous vous posez sur votre cerveau. (pp. 33-36). Odile Jacob. Leloup, G., & Sprenger-Charolles, L. (2011). Felix, A Case Study of Dyslexia in France. In P.L. Anderson & R. Meier-Hedde (Ed) International Case Studies of Dyslexia. (pp. 10-28). NewYork: Routledge. Sprenger-Charolles, L. (2009). La dyslexie existe-t-elle? In Chapelle, G., & Crahay, M. (Eds) Réussir à apprendre. (pp. 215-224). Paris: PUF. Sprenger-Charolles, L. (2008). Correspondances graphème-phonème et phonème-graphème: une comparaison de l'anglais, du français, de l'allemand et de l'espagnol. In A.Desrochers, F.Martineau, & Y.C.Morin (Eds) Orthographe française: Evolution et pratique. (pp. 213-225). Ottawa: David (Voix Savantes). Sprenger-Charolles, L. (2008). Apprentissage de la lecture et dyslexie: une nouvelle explication. 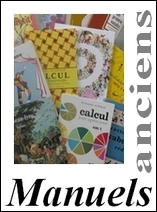 In Kail, M., Fayol, M., & Hickmann, M. (Eds) Apprentissage des langues premières et secondes. (pp. 493-511). Paris: CNRS Editions. Sprenger-Charolles, L., & Colé, P. (2008). Incidence de certaines caractéristiques de l'orthographe sur l'apprentissage de la lecture. In A.Desrochers, F.Martineau, & Y.C.Morin (Eds) Orthographe française: Evolution et pratique. (pp. 259-294). Ottawa: David (Voix Savantes). Sprenger-Charolles, L., & Serniclaes, W. (2008). Une nouvelle explication des déficits phonologiques dans la dyslexie: Données comportementales et de neuroimagerie. In G.Chapoutier, & R.Jouvent (Eds) La cognition réparée? Perturbations et récupérations des fonctions cognitives. (pp. 43-70). Paris: Éditions de la Maison des sciences de l'homme. Sprenger-Charolles, L. (2007). Comment expliquer les difficultés d'apprentissage de la lecture? Eclairage à partir de recherches conduites dans différentes écritures alphabétiques. In C.Gruaz (Ed) A la recherche du mot: De la langue au discours. (pp. 117-138). Limoges: Lambert-Lucas. Kipffer-Piquard, A., & Sprenger-Charolles, L. (2005). Prédiction dès la maternelle des habiletés de lecture en fin de CE2. Suivi de 85 enfants de langue maternelle française de 5 à 8 ans. In Entretien Bichat d'Orthophonie. (pp. 178-192). Paris: Expension Scientifique Française. Sprenger-Charolles, L. (2004). Les déficits phonologiques au cœur de la dyslexie. In C. Billard (Ed) Kit de formation sur les troubles spécifiques des apprentissages. (pp. 62-71). Signes Editions et Arta. Sprenger-Charolles, L., & Messaoud-Galusi, S. (2004). Prevalence of dyslexic's phonological deficits in reading: Evidence from different languages and different measures. In Proc. of the International Congress AELFA Society. (pp. 73-88). Madrid: AELFA Society. Sprenger-Charolles, L., & Serniclaes, W. (2004). Nature et origine des déficits dans la dyslexie développementale: l'hypothèse phonologique. In S.Valdois, P.Colé, & D. David, (Eds) Apprentissage de la lecture et dyslexies Développementales. (pp. 113-146). Solal (Collection Neuropsychologie). Sprenger-Charolles, L., & Serniclaes, W. (2004). Comment expliquer une évolution: l'exemple de l'apprentissage de la lecture. In Actes de la Journée du LEAPLE: Qu'est ce qu'analyser une évolution? (pp. 75-100). Paris: LEAPLE. Messaoud-Galusi, S., & Sprenger-Charolles, L. (2003). The effect of age and reading level on the perception of temporal speech information. In M. J. Solé, D. Recasens, & J. Romero (Eds) Proc. of the International Congress of Phonetic Sciences. (pp. 2011-2014). Barcelona: ICPS. Sprenger-Charolles, L. (2003). Linguistic processes in reading and spelling. The case of alphabetic writing systems: English, French, German and Spanish. In T. Nunes, & P. Bryant (Eds) Handbook of children's literacy. (pp. 43-65). Dordrecht: Kluwer Academic Publishers. Carré, R., Sprenger-Charolles, L., Messaoud-Galusi, S., & Serniclaes, W. (2000). On auditory-phonetic short-term transformation. In International Congres of Speech and Language (ICSLP). (pp. 937-940). Beijing: ICSLP. Sprenger-Charolles, L., & Lacert, P. (1999). Connaissances nécessaires à l'acquisition de la lecture. In Entretien Bichat d'Orthophonie. (pp. 12-18). Paris: Expension Scientifique Française. Béchennec, D., & Sprenger-Charolles, L. (1998). Literacy teaching in France. In D.Corson (Ed) Encyclopedia of Language and Education. (Vol. 2, pp. 191-198). Dordrecht: Kluwer Academic Press. Sprenger-Charolles, L. (1997). Reading acquisition: A comparison of English, French, Spanish, Italian and German children. In M.Slodzian, & J.Souillot (Eds) Multilingual comprehension in Europe (Brussels Seminar, under the auspice of the European commission). (pp. 63-73). Centre de recherche en ingenierie linguistique/INALCO. Sprenger-Charolles, L., Siegel, L., & Bechennec, D. (1997). L'apprentissage de la lecture et de l'écriture en français: Etudes longitudinales. In L.Rieben, M.Fayol, & C.A.Perfetti (Eds) Apprentissage de l'écriture. (pp. 358-384). Neuchatel: Delachaux & Niestlé. Sprenger-Charolles, L., Siegel, L.S., & Béchennec, D. (1997). Beginning reading and spelling acquisition in French: A longitudinal study. In C.A. Perfetti, L.Rieben, & M.Fayol (Eds) Learning to spell: Research, theory, and practice across languages. (pp. 339-359). Mahwah, NJ, US: Lawrence Erlbaum Associates Publishers. Sprenger-Charolles, L. (1993). Acquisition de la Lecture-Ecriture en français: Etude longitudinale. In J.P. Jaffré, L. Sprenger-Charolles, & M. Fayol (Eds) Lecture/écriture: Acquisition (Les actes de la Villette). (pp. 107-123). Paris, France: Nathan. Sprenger-Charolles, L., & Beltrando, E. (1993). Evaluation des procédures d'identification des mots utilisées par des lecteurs en début d'apprentissage. In M. Huteau (Ed) les Techniques Psychologiques d'Evaluation des Personnes. (pp. 571-577). Issy les Moulineaux, France: EAP. Sprenger-Charolles, L. (1992). Evolution des mécanismes d'identification des mots dans la lecture. In M. Fayol, J.E. Gombert, P. Lecocq, L. Sprenger-Charolles, & D. Zagar (Eds) Psychologie cognitive de la lecture. (pp. 141-193). Paris, France: PUF. Sprenger-Charolles, L. (1991). Word-identification strategies in a picture context: Comparisons between "good" and "poor" readers. In L.Rieben (Ed) Learning to read: Basic research and its implications. (pp. 175-187). Hillsdale, NJ, England: Lawrence Erlbaum Associates Inc.
Sprenger-Charolles, L., & Messaoud-Galusi, S. (2009). Review of research on reading acquisition and analyses of the main international reading assessment tools (Report, IIEP-UNESCO). Sprenger-Charolles, L. (2008). EGRA (Early Grade Reading Assessment): Results of 1200 Gambian children learning to read in English. Report for the World Bank. Sprenger-Charolles, L. & Siegel, L.S. (2013). Reading Acquisition and Dyslexia in Languages Varying in Orthographic Depth: From Behavior to Brain. Perspectives on Language and Literacy (International Dyslexia Association). Winter, 23-31. Sprenger-Charolles, L. (2012). Subtipos de dislexia en lenguas que difieren en la transparencia ortográfica: Inglés, Francés y Español (Dyslexia subtypes in languages differing in orthographic transparency: English, French and Spanish).Escritos de Psicologia, 4 (2), 5-16. Sprenger-Charolles, L. (2011). Synthèse des principaux résultats des études sur les débuts de l’apprentissage de la lecture. L’Information Grammaticale, Mars 2012, 133, 15-21. Béchennec, D., & Sprenger-Charolles, L. (2011). Des traditions à bousculer: Les recommandations orthographiques de 1990 et Guide pratique de l'orthographe rectifiée. 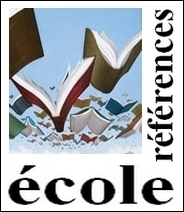 Cahiers pédagogiques, 493, 65-66. http://www.cahiers-pedagogiques.com/spip.php?article7658, repris dans: http://ebookbrowse.com/guidepratiqueorthographerectifie-e-2-09-2011-pdf-d398980732. Sprenger-Charolles, L., Colé, P., Kipffer-Piquard, A., & Leloup, G. (2010). EVALEC, Une batterie informatisée d'évaluation diagnostique des troubles spécifiques d'apprentissage de la lecture. Ortho-Edition. Sprenger-Charolles, L., Bogliotti, C., Piquard-Kipffer, A., & Leloup, G. (2009). Stabilité dans le temps des déficits en et hors lecture chez des adolescents dyslexiques (données longitudinales). A.N.A.E. Approche Neuropsychologique des Apprentissages chez L’Enfant, 21(103), 243-255. Sprenger-Charolles, L., & Colé, P. (2006). Méthodes: le verdict des évaluations. 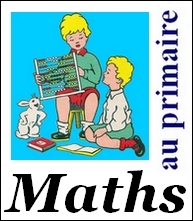 Sciences Humaines (Avril 2006), 10-11. Colé, P., Leuwers, C., & Sprenger-Charolles, L. (2005, Decembre). Dyslexie: Vers une nouvelle rééducation. Cerveau et Psycho, 78-82. Sprenger-Charolles, L. (2005). Les procédures d'accès aux mots écrits : Développement normal et dysfonctionnements dans la dyslexie développementale. Rééducation Orthophonique, 222, 71-100. Delahaie, M., Sprenger-Charolles, L., Serniclaes, W., Billard, C., Tichet, J., Pointeau, S., & Vol, S. (2004). Perception catégorielle dans une tâche de discrimination de phonème et apprentissage. Revue Française de Pédagogie, 147, 91-106. Delahaie, M., Sprenger-Charolles, L., Serniclaes, W., Billard, C., Tichet, J., Pointeau, S., & Vol, S. (2004). Categorical perception and learning to read / Les habiletes de perception des sons de la parole d'une population d'enfants pre-lecteurs.A.N.A.E. Approche Neuropsychologique des Apprentissages chez l'Enfant, 16(5), 363-373. Sprenger-Charolles, L. (2003). Apprentissage de la lecture et dyslexie. Médecine et Enfance, 249-253. Sprenger-Charolles, L. (2003). La dyslexie repensée. Sciences humaines. 134, 16-20. Sprenger-Charolles, L., & Béchennec, D. (2003). Acquisition de la lecture et de l'écriture et dyslexie : Revue de littérature.Revue Française de Linguistique Appliquée, VIII(1), 63-90. Sprenger-Charolles, L. (2002). L'apprentissage de la lecture: l'apport des sciences cognitives. Connaissances Surdité,14-16. Sprenger-Charolles, L. (2001). Transparence de l'orthographe et acquisition de la lecture: Comparaisons entre l'Espagnol, l'Allemand, le Français et l'Anglais. NRAIS (Nouvelle Revue de l'Adaptation et Intégration Scolaires), 14, 191-204. Sprenger-Charolles, L., Colé, P., & Serniclaes, W. (1999). Déficits phonologiques et métaphonologiques chez des dyslexiques phonologiques et de surface. Rééducation Orthophonique, 197, 25-51. Sprenger-Charolles, L. (1997). Sciences cognitives et acquisition de la lecture. Revue Française de Linguistique Appliquée, II(2), 35-49. Sprenger-Charolles, L. (1997). L'Acquisition de la lecture (et de l'écriture) dans des systèmes d'écriture alphabétiques.Rééducation Orthophonique, 192, 51-70. Sprenger-Charolles, L., Lacert, P., & Béchennec, D. (1995). La médiation phonologique au cœur de l'acquisition et des difficultés de lecture/écriture. Glossa, 49, 4-16. Sprenger-Charolles, L. (1994). 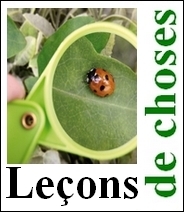 L'acquisition de la lecture: Lecture, identification des mots et compréhension. Les Cahiers de Fontenay/ENS, 1994, 39-53.